The explosion of local bands around the world tends to track rising living standards and Internet use. Making loud music is expensive: You need electric guitars, amplifiers, speakers, music venues and more leisure time. “When economic development happens, metal scenes appear. They’re like mushrooms after the rain,” says Roy Doron, an African history professor at Winston-Salem State University. Record labels are paying more attention now. At Nuclear Blast Records, one of metal’s biggest independent labels, global retail sales rose last year to 2.53 million albums, up from 2.25 million in 2014 and 1.84 million in 2013. In the late 1990s and 2000s, Nuclear Blast made a bet on bands with a potential to sell well globally, such as Norway’s Dimmu Borgir and California veterans Exodus, says Gerardo Martinez, U.S. manager for Nuclear Blast. Since he joined the company in 2003, payroll has doubled to 200 employees in five offices including Germany and Brazil. In late August, Sony Music Entertainment bought Century Media Records, a leading metal and hard rock label, for an undisclosed sum. Universal Music Group last month bought metal label Candlelight. Aside from record sales and concert tickets, merchandise is a big part of metal culture—especially T-shirts. Metal superstars such as Iron Maiden are playing more countries than ever. In September, the U.K. band’s new record, “The Book of Souls,” topped official and unofficial charts in 43 territories, including Israel, Bolivia and India, the band says. Next Wednesday, the band kicks off a world tour of 36 countries, including first-time stops in China, Lithuania and El Salvador. Tom Araya is the 54-year-old singer and bassist for Slayer, which along with Metallica, Anthrax, Megadeth and Exodus pioneered the galloping subgenre known as thrash metal. Born in Chile, he and his family immigrated to the U.S. when he was five. He studied to become a respiratory therapist before devoting himself to Slayer full-time. In some places, metal has taken on political overtones. Israeli metal act Orphaned Land and Palestinian group Khalas share tour buses to promote peace. Burgerkill sings about corruption in Indonesia. “The common people can do the change their politicians fail to do,” Orphaned Land’s singer, Kobi Farhi, says. With its distorted guitars, indecipherable singing and intense lyrics, metal songs can be off-putting to many—but that may help it cross borders. “We’re the music that allows [fans] to be rebels, to be extreme,” Slayer’s Mr. Araya says. Metal festivals are proliferating—there are some 50 world-wide. Dubai’s “Rock Fest” and “Desert Rock Festival” events have drawn metal-heads from across the Middle East. In Asia, there’s Tokyo’s “Loud Park” festival, Beijing’s “330 Metal Fest” and Borneo’s “Kukar Rockin Fest.” At last summer’s “Wacken Open Air” in Germany—the world’s biggest metal gathering—non-Western fans were a common sight. Sunni and Shiite headbangers from Iraq enjoyed music just yards away from each other. To be sure, the global recorded-music business has shrunk by roughly half and metal probably isn’t going to change that. In many countries, metal is an underground, grass-roots business run by indie labels, local concert bookers and specialized publications. Many non-Western metal bands are stubbornly anti-commercial in an age where making music audience-friendly is considered part of the game, not a sell-out. Yet the genre is expanding appreciably. 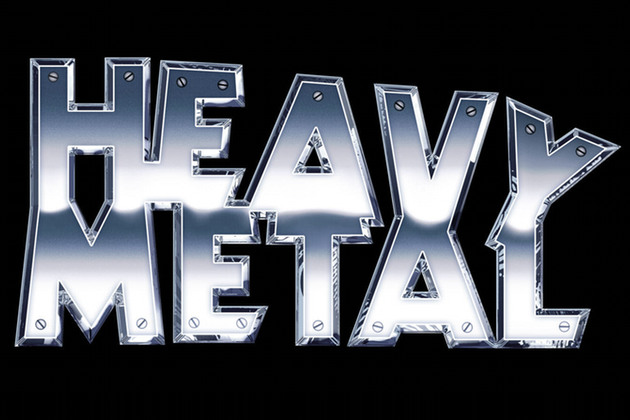 Over 100,000 metal bands from about 150 countries have listings on Encyclopaedia Metallum, an online archive. That is roughly double the figure from 2007. Latin America’s metal-head population probably outnumbers Europe’s, says Jeremy Wallach, a popular-culture professor at Bowling Green State University in Ohio who specializes in metal music. When he looked at Google Trends data on searches for the term “heavy metal” last year, Indonesia topped the list, followed by Chile, Costa Rica, Paraguay and Nepal. Driving metal’s growth are intensely loyal fans with unusual consumer habits. Many metal-heads still collect physical products, such as CDs. Younger fans connect not just to older bands like Black Sabbath and Death, but also established groups from all over the world like Brazil’s Sepultura, Germany’s Rammstein and Sweden’s Opeth, which has a Uruguayan bassist. Women increasingly are participating. “Metal today is definitely not a boys’ club,” says Deena Weinstein, a DePaul University sociologist who has studied metal culture. Babymetal, a female trio that combines metal with Japanese pop, is putting out a much-anticipated release April 1, followed by a show at the arena at Wembley in London, then a U.S. tour. The Russian band Arkona and its lead singer Ms. Arkhipova played 87 shows in 32 countries last year, including stops in Brooklyn, Chicago and Phoenix, and headlined seven shows last month in China. Metal requires a high degree of musicianship, which is prized in countries with a classical-music bent, such as China, Finland and Japan. Unlike punk music, which is relatively easy to play, metal often involves superfast guitar playing and complex chord structures. Many of today’s global metal fans prefer “extreme metal”—an umbrella term that includes dark, aggressive subgenres such as death metal—to the more melodic sounds of, say, Judas Priest or new Swedish band Ghost. The biggest death-metal scene isn’t in the U.S. or Scandinavia; it’s most likely in Indonesia, Mr. Wallach says. Especially in poorer countries with corrupt governments or conservative mores, metal fans are often seeking something to believe in—a kind of “transnational” community, academics say. In the sparsely-populated desert nation of Botswana, fans of groups like Wrust and Skinflint in the capital city of Gaborone are often middle-class and tech-savvy. In India, where fans tend to be well-educated and professional, listening to metal bands such as Demonic Resurrection is partly about standing apart from mainstream society and rejecting rigid social and religious norms. “Metal fans are joined by a common sense of cultural dissent,” says Texas A&M music professor Harris Berger. They act out in different ways. In 1988, Kaiser Kuo, a Chinese-American metal fan, traveled to Beijing on a student visa after finishing college at the University of California, Berkeley. The young musician, whose parents came to the U.S. in the 1950s, was surprised by what he found: Guitars and amps for sale, evidence of a nascent rock scene that had formed around local artists interacting with visiting diplomats and journalists. Cassettes brought by Western visitors’ kids weren’t the only way metal spread in China. According to Mr. Kuo, in the early 1990s, U.S. music companies would dump unwanted inventory—say, leftover CDs from an artist that a label had dropped—because doing so would allow them to reduce their tax burden in various ways. The discs, off-loaded to third parties, would end up on Chinese ports at cut-rate prices, 15 cents or less, with little nicks to ensure they couldn’t be sold in the U.S. Cannibal Corpse, a U.S. death metal band whose music had been banned in several Western countries, was especially successful there, Mr. Kuo recalls. In the late 1990s and 2000s, waves of Chinese bands from Overload to Suffocated, along with Taiwan’s Chthonic and Silent Hell, helped build out the region’s scene. While metal is by no means mainstream in China, bands from different subgenres play in Beijing every night of the week, says Mr. Kuo, now an international communications director for Chinese search engine Baidu: “Beijing became a Mecca for this,” he says. Tang Dynasty’s ancient-China references were early signs of what’s become a global phenomenon: “Folk metal,” sometimes called “pagan metal” or “roots metal,” where metal bands sing about their ethnic group’s past, whether actual or mythic—often using ancient languages and instruments. Today there are at least 2,000 pagan-metal groups, DePaul’s Ms. Weinstein estimates. In Russia and Ukraine, “folk metal” bands sing about old myths, hoping to resurrect a more authentic, pre-Western cultural identity. Nine Treasures, a “Mongolian folk-metal” act whose members grew up in Inner Mongolia (part of China) and sing in Mongolian, have already taken their guitars and horse-head fiddle (a Mongolian instrument) to Germany’s annual Wacken festival. Another band, Ego Fall, toured Europe last month. © 2016 Dow Jones & Company, Inc. The content you have chosen to save (which may include videos, articles, images and other copyrighted materials) is intended for your personal, noncommercial use. Such content is owned or controlled by Dow Jones & Company, Inc or the party credited as the content provider. Please refer to wsj.com and the Terms of Service available on its website for information and restrictions related to the content.